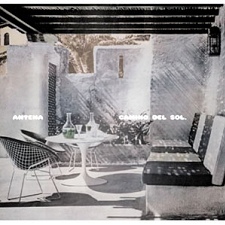 Camino Del Sol is an acknowledged genre classic, originally issued as a mini-album on Les Disques du Crépuscule in 1982. Antena's ground breaking mix of Kraftwerk, Suicide and the breezy Gilberto tropicalia still sounds as fresh as it did in 1982, when John Foxx produced their debut 12" single, The Boy From Ipanema, and future Pet Shop Boy Neil Tennant tagged them "electro-samba". Echoes of the Antena sound can be heard in artists as diverse as Stereolab, Tortoise and Thievery Corporation. This definitive expanded edition of Camino Del Sol boasts no less than 16 tracks, with the five songs from the original vinyl issue joined by four issued on The Boy From Ipanema together with a selection of rare demo and compilation tracks. Booklet contains Antena images and liner notes. The video clip for Boy From Ipanema appears on the DVD collection Umbrellas in the Sun.